South Korea, as foreign residents here frequently attest to, has a very well connected transportation system. One major cog of that system is the local bus system. 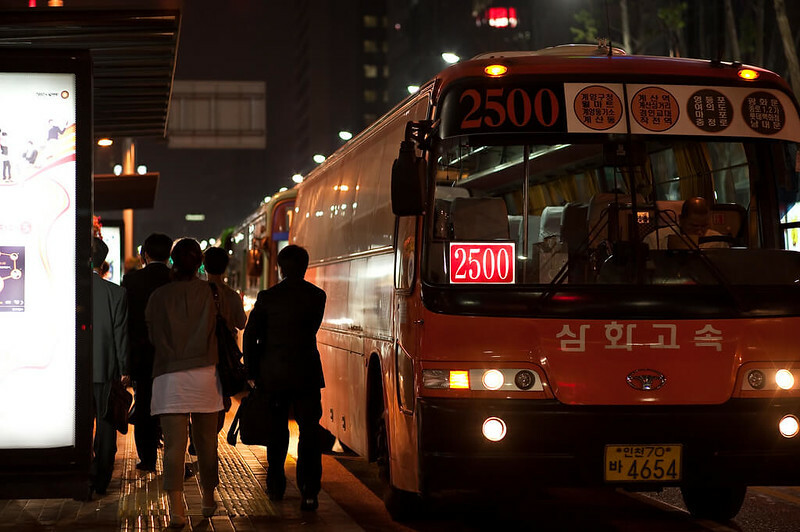 Practically every county in South Korea has (or shares) a local bus system. While teaching a college class, my students and I talked about ways to travel around the country. One student mentioned taking many city buses between cities and counties as a cheap way to travel. Granted, this method takes a lot of time, which as a college student on summer vacation would have a lot of. The idea of traveling exclusively by city bus gave me an idea for a challenge: how far can one really go in Korea by exclusively traveling by city buses? I sat down at a computer with Naver/Daum maps open, looking for places where two bus systems met. I learned that larger cities tended to have more buses (and more connections) than smaller cities and vast counties. A few counties and cities even had buses that went into neighboring counties’ bus terminals, making my job a bit easier. I chained enough connections together to make a plan. I was going to get as far north from my starting point as I could, with a secondary goal of reaching Seoul from Suncheon in one day. Thursday morning, I stuffed a bag with my one page of notes, multiple headsets, electronic gear, and a small bag of cookies and headed out. I left behind cosmopolitan Suncheon (with Korea’s most beautiful women- this used to be their motto) on a packed bus full of the elderly to the calm serene county of Gurye. It was anything but calm as the old people who got on at the university argued with each other, the bus driver, the radio, and an old guy who got on at 과묵역. What were they arguing about? I don’t even think they knew. Once at Gurye station, I waited for the next connection. Unfortunately, Daum Maps was completely wrong about the connecting bus stop. The maps said I was supposed to stand at this corner. I go to the corner and there’s no bus stop. Daum Maps! You’re supposed to be better than Naver and Google! I decided not to trust it and went to the regular bus stop. This turned out to be the right decision as I was able to catch the next connecting bus. Strangely enough, this bus looked like it just got out of the wash. The driver also had the air conditioning on full blast which made the windows fog up. 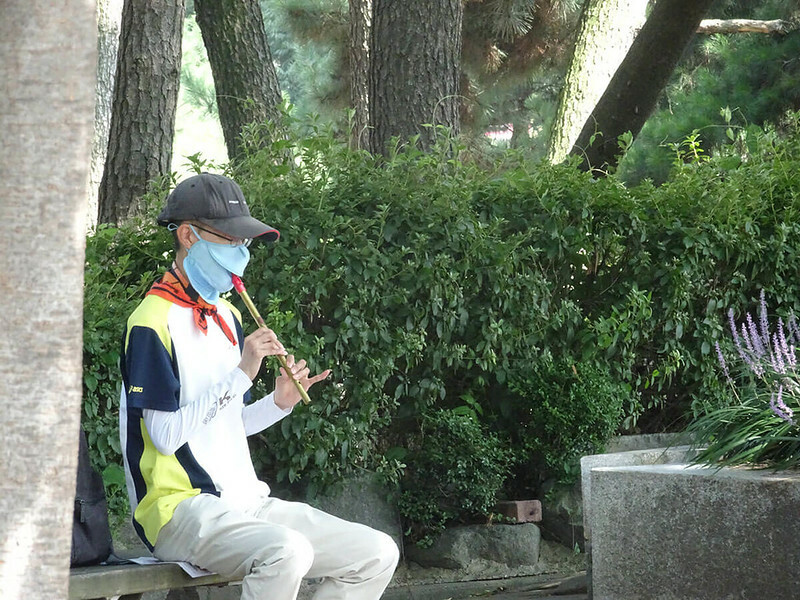 While traveling from Gurye to Namwon along windy farmland roads, the driver took a break. A bumblebee got inside and buzzed around the other passengers. They managed to chase it to the front of the bus. 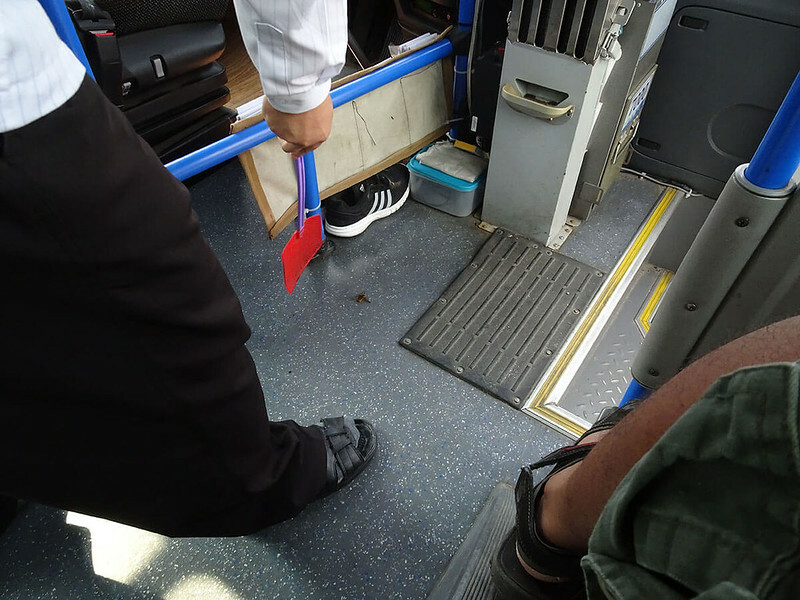 The driver hit a woman with his flyswatter and the other passengers laughed. What’s a little comedic domestic violence between friends? 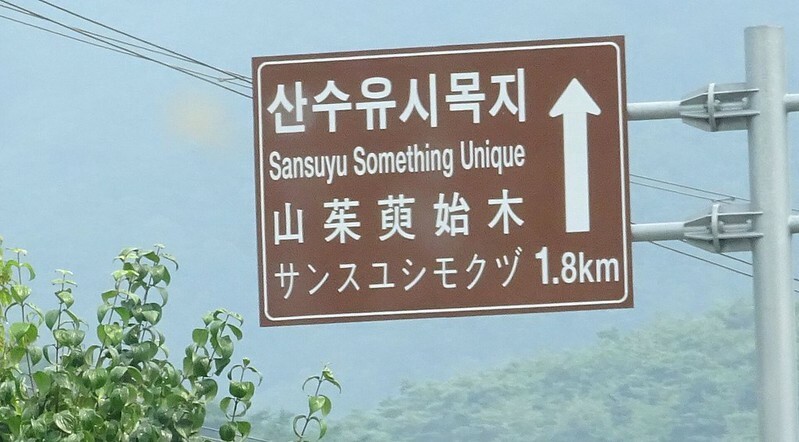 We then passed a brown tourism sign for “Sansuyu something unique”. Well one would hope it’s unique! In Namwon I almost missed the bus because Daum Maps, YET AGAIN, got the bus stop wrong. I ran like a bat out of hell to the proper stop after a mad dash through traffic and across a bridge. I’m pretty sure one of the elderly guys on bus 540 said he wanted to draft me for his soccer team. While going down a hill, an idiot double-parked in the middle of our lane and the bus almost ran into oncoming traffic to dodge it. My friends said this trip would be boring! The bus to Imsil was a quiet ride. I was excited to see their buses had wifi. Unfortunately, it wasn’t working when I turned on my phone’s wifi. Oh Imsil... you tease me. Special feelings (and prices) abound here. Jeonju is a big city with lots of connections. The bus I was riding in nearly made an inadvertent connection with an Equuis that decided to change lanes on a dime. As you can probably guess, the driver wasn’t happy about the lack of decorum and gave him a one-horn salute for a minute while stuck in traffic. While traveling through Nonsan, I passed by an Uzbekistan restaurant. Uh...didn’t expect that. Chungnam is upping its food game these days. Looking forward to seeing a Sri Lankan restaurant in the future. Getting into Nonsan around 5pm meant that I was still on ‘schedule’. Since I got my schedule information from Daum Maps, it meant relying on untrustworthy data. Luckily for me, the bus terminal had updated schedules. I still had a chance. It all depended on when I get to Gongju. 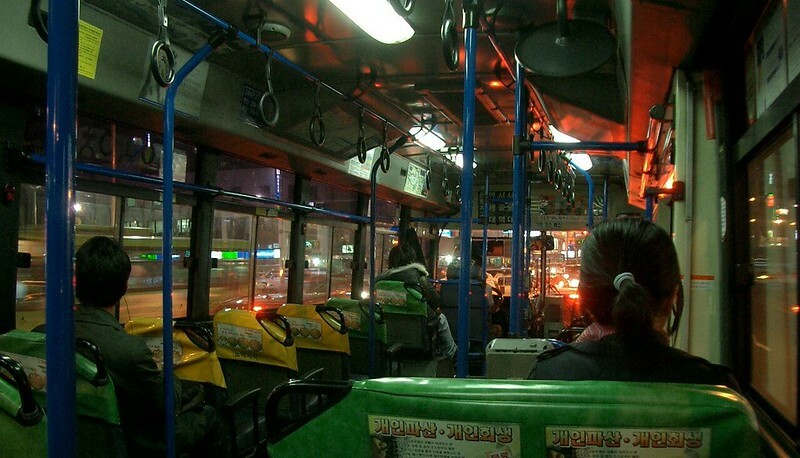 At the border between Gongju and Nonsan, there is one bus joining the two cities. I was lucky enough to get there an hour early. 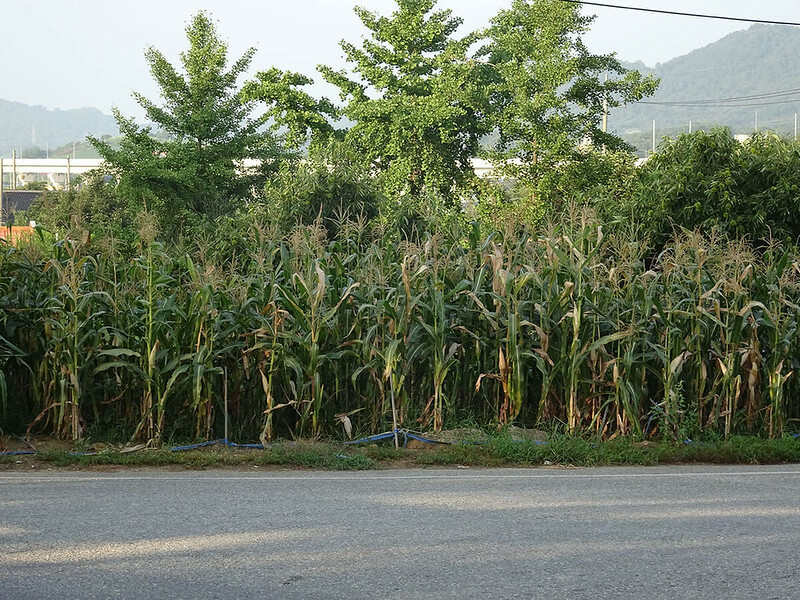 I found myself stuck in Korea’s “Iowa” (complete with cornfield) being bitten by mosquitos and stared at by bored loansharks. I wished there were more buses, especially in the evening. Fortunately, my scheduled bus arrived, and as usual Daum maps was wrong as to where I get this bus. Not pictured: Crop Circles, Random Baseball Fields, Bacon Fried Butter Sticks. 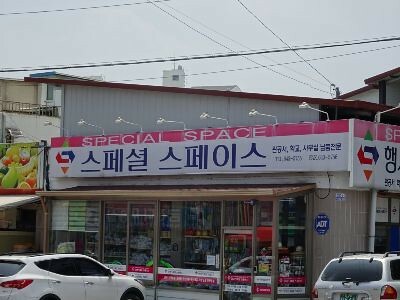 I had to wrap up my journey in Gongju due to time and distance. I simply could not trust the 8:15pm bus to cover 1 hour and 5 minutes of journey to get me to the transfer point by 8:45pm. If I miss that bus, I’d be stuck in the countryside for the night. With the mosquitoes. The hungry, ravenous mosquitos. Yeah, I had traveled enough: 206 kilometers or a little more than halfway across the country. I was disappointed I couldn’t get to Suwon in time for the late buses, but I had traveled farther than anyone had ever done so before on buses (and likely for good reason, too). So if you ever want to try this, you’ll need to do the following things. Use mapping services to find points where two bus systems match. Don’t drink a lot of water. You may not have as much time for bathroom breaks like I did. Load up your tablet/phone with lots of different entertainment options. Warning: Some of the buses don’t have screens so you might miss your stop if you’re not paying attention. Don’t stare at your screen the whole time. You’ll miss the beauty and the weird (especially the weird) around you.